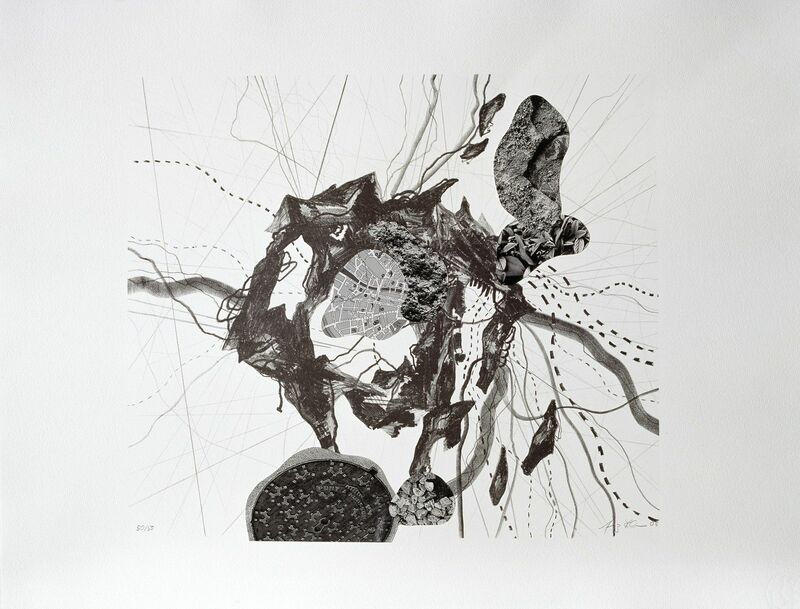 German artist Franz Ackermann created this lithograph collage on the occasion of his solo exhibition at IMMA in 2004. Ackermann is interested in the changing faces of cities in ever more globalised societies and believes that cities are living breathing entities. This work is part of a series of small ‘mental map’ works that depict both physical and mental journey for the artist.